Formula 1 is set to alter pitstop procedures after the spate of unsafe releases this season has exposed a weakness in some teams’ systems. An unsafe release from McLaren in practice for the Chinese Grand Prix was the fifth such problem in three GP weekends and came a week after a Ferrari pit crew member suffered a broken leg in Bahrain. The unsafe releases have occurred despite all 10 teams employing a semi-automated system that is supposed to stop drivers being given the green light to leave their pit box before the pitstop is complete. FIA race director Charlie Whiting has revealed he has a possible solution he will present to teams in the coming weeks. “I think we can introduce a few things to improve, to decrease the likelihood of mistakes, yes,” Whiting said when asked by Autosport if there were still concerns about the pitstop procedures after an incident-free Bahrain GP. 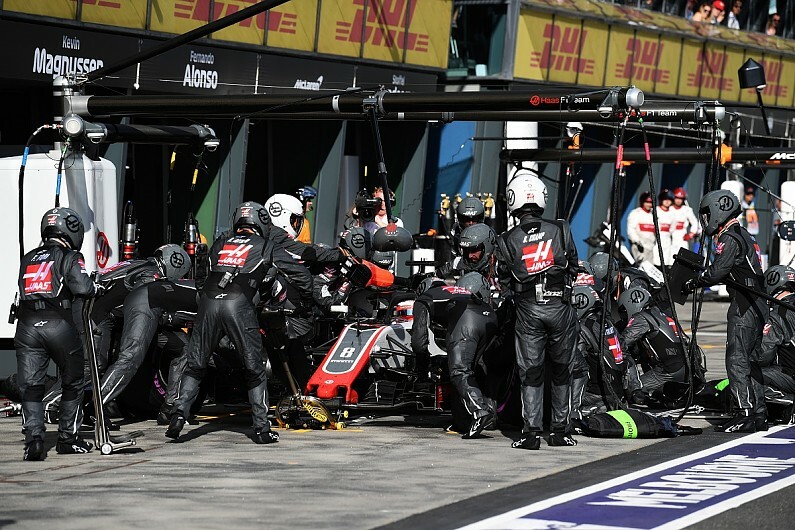 Automated elements in F1 pitstops have advanced to include wheelgun sensors that help the gun operator signal when their wheel change is complete. When this process is complete on all four wheels, the driver is shown the green light. A confused sensor measuring the tightness of the wheelnut was to blame for Ferrari’s early release of Raikkonen in Bahrain that broke Francesco Cigarini’s left leg. Neither the rear jack operator or pitstop controller, who could have overridden the system, saw the rear left had not actually been changed and Whiting wants to beef up the process so there are more parameters for the automated part of the system to satisfy. This is likely to be ensuring all teams utilise two wheelgun sensors: one to ensure the right torque has been applied to tighten the nut, and one to check its position in case it has been cross-threaded by mistake. The likes of Haas, which lost a big Australian GP result thanks to two unsafe releases, and McLaren do not utilise dual sensors and released their cars with cross-threaded nuts. “So, you’re using two sensors to tell the operator it’s actually done up, he presses a button, both jacks drop and the car goes,” said Whiting. Renault chief technical officer Bob Bell suggested in China that the FIA could standardise the automated system as part of its 2021 rules package to gain greater control over safety. Whiting said individual team systems were fine as long it is not possible for a gun operator to declare their wheel is secured without being completely sure.